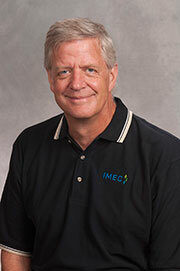 IMEC is proud to announce Andy Cave as the newest Regional Manager to the team. Andy will have primary responsibility serving the north and northwestern Chicagoland region. With more than 25 years of manufacturing experience, Andy is a results oriented Operations Executive with a strong background in process re-engineering using Lean and Six Sigma tools. He has a solid track record of improving profitability through hands-on change management, implementing process improvements to increase margins, quality and customer satisfaction. Along with significant experience driving business growth by executing strategic plans and successfully introducing new revenue streams, Andy excels in examining current processes, determining areas for improvement and delivering targeted objectives. For more information about IMEC's team of manufacturing improvement specialists, please contact Amanda Hawley or info@imec.org.